Dr. Janet F. Werker is Professor and Canada Research Chair in the Department of Psychology at the University of British Columbia. Dr. Werker is the founder and a member of the Early Development Research Group, a consortium of six research centers interested in the development of language, learning, and social understanding in infants and children. 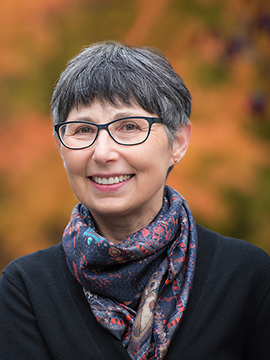 Werker is internationally recognized for her research investigating the perceptual foundations of language acquisition in both monolingual and bilingual learning infants. Her over 150 papers and chapters, have appeared in prestigious journals including Science, Nature, Nature Communications, Trends in Cognitive Sciences, Proceedings of the National Academy of Sciences, Journal of Neuroscience, Psychological Science, and Cognition as well as in the premier journals in developmental psychology, language, and perception. Her research is funded by NSERC, SSHRC, and CIFAR in Canada, and by the NIH in the U.S. Previous funding sources include the Human Frontiers Science Program, the James S. McDonnell Foundation, and NTT Laboratories. My research focuses on understanding the roots of language acquisition, by studying speech perception in infancy, the mechanisms by which native speech sound categories are acquired, and how speech perception supports early word learning. In my lab we study infants from hours after birth up to toddler hood using behavioral, electrophysiological (ERP), and non-invasive optical neural imaging using near-infrared-spectroscopy (NIRS). We study infants growing up in different language environments, infants growing up bilingual, and infants with, or at risk for, developmental disabilities. Adult studies focus on speech perception and lexical processing of both spoken language and visual speech, and involve behavioral and neuroimaging studies. More recently, in collaboration, I have also begun exploring the nature of critical periods, and epigenetic processes that underlie developmental change. Werker, J.F. (in press). Perceptual beginnings to language acquisition. [Target article with peer commentaries]. Applied Psycholinguistics. Choi, D., Black, A., & Werker, J.F. (2018). Cascading and multisensory influences on speech perception development. Mind, Brain, and Education. Bruderer, A.G., Danielson, D.K., Kandhadai, P., & Werker, J.F. (2015). Sensorimotor influences on speech perception in infancy. Proceedings of the National Academy of Sciences, 112(44), 13531-13536. For a full list of publications, please visit the Infant Studies Centre website.